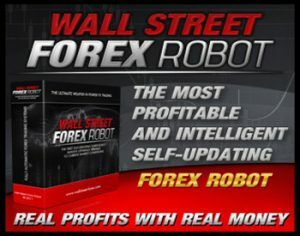 I’ve been testing and using MT4 Robots (Expert Advisers) for the last 9 years, mostly with no success at longevity… except for one robot, which I’ve been using on my live accounts now for four years…drum roll…. It’s called The Wall Street Robot and it’s the only robot that has stood the test of time…out of literally hundreds that I have tested. You actually get three robots for the price of one…but out of the three, I really like the Recovery robot the best, it’s the most stable and profitable without big draw downs. But using all 3 robots together gives you a pretty smooth equity curve. Also, I like a relatively new robot that has been trading with a very smooth equity curve and trades only the AudUsd and UsdChf by detecting a certain pattern in price action. I’ve included my favorite VPS service, which I’ve been using for the last 9 years, with low latency, no downtime, and excellent super fast customer service. I’m continually testing new robots and any that stand the test of time, draw down and profitability, I’ll add to the page above.